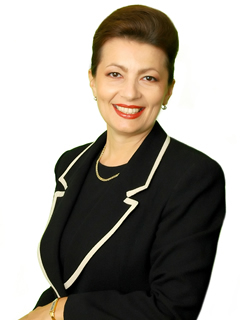 Ilona Penzes - Honolulu Office, Hawaii Real Estate Partners, LLC. Your Partner For Success! Professional, Personal, Proficient. Pride myself in offering local expertise with culturally sensitive skillfulness! Over the past 15 years, I have had the privilege of helping families from around the globe find their dream homes in Hawaii. A Hungarian by birth, a Hawaiian by choice, my passion is to help clients find their own place in paradise. My family lives in Diamond Head and we enjoy frequently exploring Waikiki's beaches, restaurants and stores. I have a rich knowledge of Waikiki buildings and homes, knowing which are well managed, which make good investments, and ones to be wary of. My expertise expands to East Oahu ( Waikiki, Gold Coast, Diamond Head, Kahala, Makiki, Aina Haina, Niu Valley, Hawaii Kai) where I can provide valuable knowledge to clients looking to buy or sell their home. In addition, I have a passion for identifying real estate that could represent investment opportunities for clients interested in real estate income generation. As a member of a construction company, I have a unique access to resources that I can activate in all aspects of real estate business: professional and licensed contractors, electricians, plumbers, carpenters etc. to provide quality and timely assessment and work. I hold a BA and MA college degree in language education and am proficient in Hungarian and Russian. My husband and I moved from Hungary over 20 years ago as young college students and he began a contracting business which is still thriving today. For fun, I love traveling. I also love introducing friends to Hungarian food and culture. I am a professionally Shiseido-trained makeup artist and enjoy volunteering and being part of the Hawaii Opera Theatre, Society of Professional Journalists Hawaii Chapter, Japanese American Society of Hawaii, Diamond Head Theatre, Waldorf School, Mid Pacific Institute and the YMCA Kahala.